Have you ever been in the wrong place at the wrong time...several times? These memories leave you with an ill taste in your mouth, and nothing good seems to come from them. But what if the seemingly messy pieces of your life were actually strategically positioned by God? What if you've actually been in the right place at the right time every time? 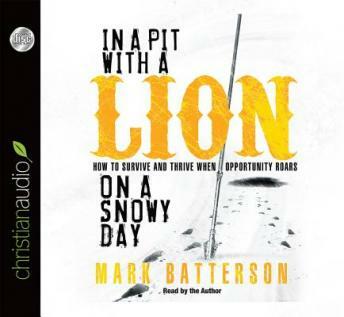 In a Pit with a Lion on a Snowy Day will help you make sense of your past. You'll begin to connect the dots to see clearly how God has been preparing you for future opportunities. With a God's-eye perspective, you'll soon be thanking Him - even for lions, pits, and snowy days.